One foot in the Nous and one in the Physis. academySummaries, Reviews, and Discussions on selected authors, texts and topics. All to share. e-laborationSublating the un-Networkable… and any other out of order thinking. fictio-nauticsFree thinking out of stories. An adventure on speculative fiction. Great changes have taken place in the web pages in the last two decades. 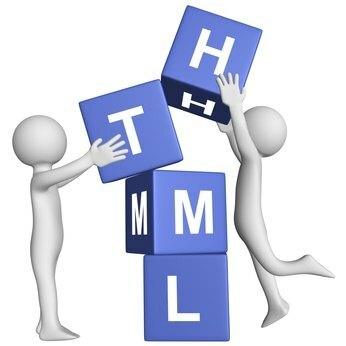 HTML has improved a lot since its early days in 1991 and web developers techniques have been changing as soon as new tools showed up. The CSS appearance in 1996 and, more recently, the new HTML 5 markup elements pushed developers definitely in the path of semantic web. This post covers, in brief, the history of those changes. That was the best we could get in the era of static websites though such a structure visibly carries some difficulties on maintainability and accessibility; the markup is definitely not developer-friendly, the content hard to find in the jungle of the code and web pages too heavy with probably issues on machine readability. Although Table-based layouts today look trivial to most people, at the time they encountered strong resistance to changes (and still they do!). They are actually not dead yet and still in use on eMail campaign and marketing. Div, Span and CSS Positioning have brought on the table great changes on accessibility. Let’s just thing on braille technology, screen-readers, smartphones and tablets which have been able to see big steps forward on readability and responsiveness. On the other hand, if the new features help to organize the content they don’t say anything about it and its meaning. The new layouts don’t show great changes on the style, the news is the popping up of new semantic elements which have been tagged after several years of convergence on conventional names. Obviously those are just an example of a bag of new features which include, among others, the tags Nav, Section, Hgroup, Mark and Time. HTML 5 is a great deal in the improvement of the accessibility and optimization of websites and their content but it has still to cope with the natural resistance to changes. However the path of semantic web is anyway traced. Except for all images and where otherwise noted This work is licensed under a Creative Commons Attribution-NonCommercial-ShareAlike 4.0 International License.